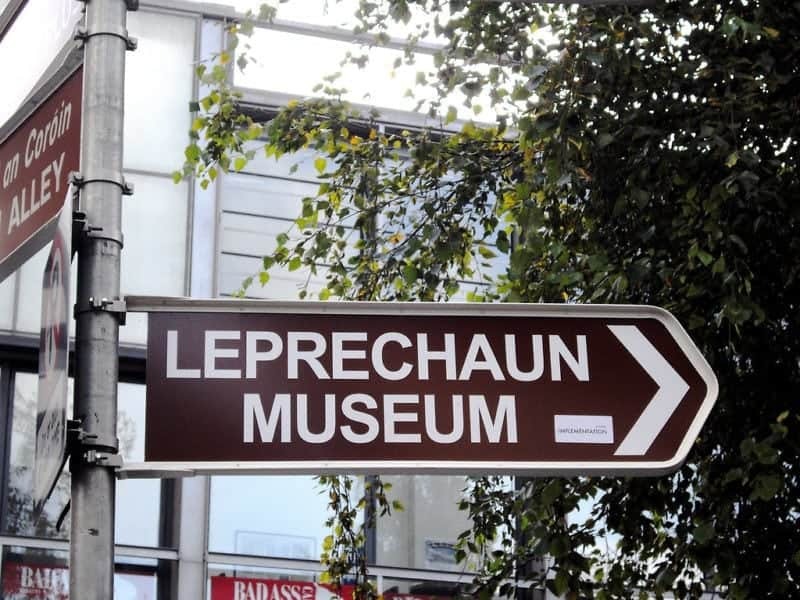 There is plenty to do and don’t do in Dublin, in fact there is so much to do you may be overwhelmed. 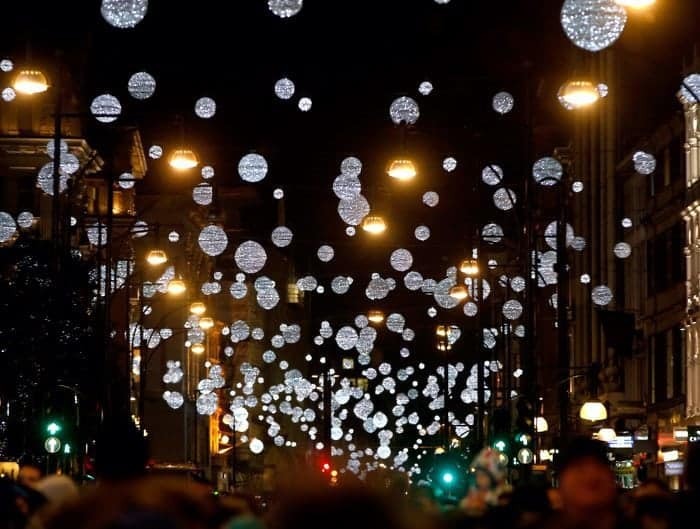 This list of Dublin Different Do’s will give you some of the more off the beaten path ideas. If you have traveled to Dublin before you may have seen all the traditional tourist sites of this beautiful City. 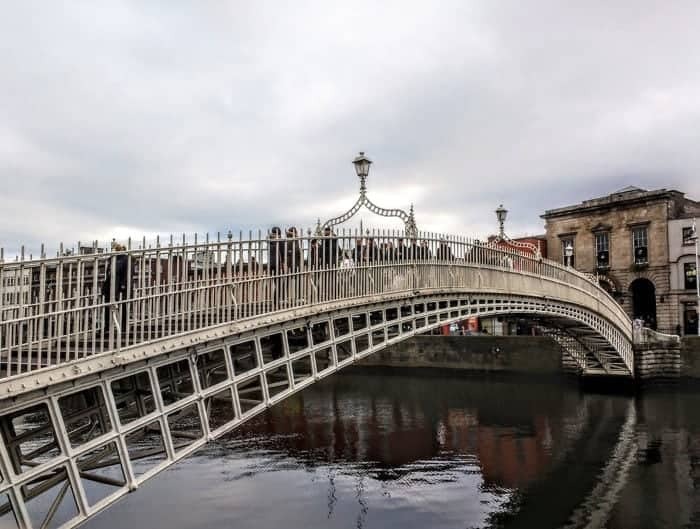 This list of Dublin Different Do’s will take you beyond the usual statutes and streets to see hidden corners and interesting sites of Dublin. Want to know where to eat in Dublin check out Dining in Dublin for lots of recommendations. Curious about the neighbourhoods of Dublin or perhaps you want to check out sites like Glasnevin Cemetery, or perhaps Newgrange or visiting the ancient celtic crosses of Monasterboice is your cup of tea. Whatever you want to see in Ireland start with Dublin Different Do’s and travel on from there. 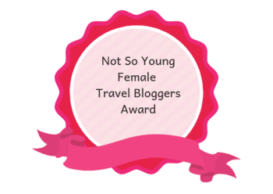 If you would like to explore further than Dublin why not check out my fellow blogger Nathalie’s post on her site Marquestra: Best Ireland 2 week itinerary it will give you an awesome tour itinerary of both N. Ireland and the Republic. Without further ado here are my top 21 Dublin different do’s. The Teeling Whiskey Distillery is the first new distillery in Dublin in over 125 years and is bringing the craft of distilling back into the heart of Dublin. Located in an ancient market square called Newmarket, an area long associated with brewing and distilling, this distillery is a three copper pot still operation reviving the traditional style of Dublin whiskey distillation. 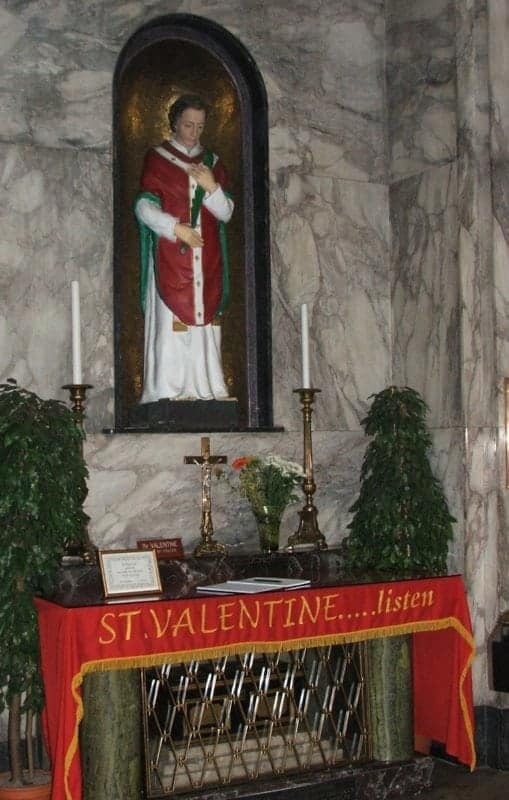 Not many Dubliners know this but Saint Valentine’s remains are housed in a church on Whitefair Street. On November 10, 1836, the Reliquary containing the remains of St. Valentine were gifted by the Pope to Father Spratt who had preached in Rome. With the death of Spratt, interest in the relics died away and they went into storage for many years. During a major renovation in the church in the 1950’s/60s they were returned to prominence with an altar and shrine being constructed to house them and allow visitors to see the relics. A replica of the original Jeanie Johnston Tall ship that ferried over 2,500 people to a new life in North America during the famine years. The Jeanie made 16 journeys and managed to do it with no loss of life. This tall ship is a replica that was built in Kerry but it has sailed to North America and around Europe. Near the Jeanie, you will also see the Famine Memorial Statues. The Centre conducts walking tours of the city based on Joyce’s life and work. The Museum itself concentrates on Ulysses and hosts readings, discussion and musical evenings based on the novel. This is a real hidden gem for people visiting Dublin. The Museum preserves an important, though small, part of Ireland’s cultural and historic heritage. The Museum contains a substantial collection of memorabilia relating to the Irish Jewish communities and their various associations and contributions to present day Ireland. The Museum is an all-Ireland museum and its material associates with the communities of Belfast, Cork, Derry, Drogheda, Dublin, Limerick & Waterford and relates mostly to the last 150 years. The watchtowers were set up in the 1800’s to prevent the unscrupulous digging up the bodies for medical science at the time. Glasnevin’s Watch Towers were a fine selling feature back in the day and no bodies were ever reported being snatched from the graveyard. There is an informative Visitors Centre at Glasnevin and you can even grab a bite to eat in the cafe, which overlooks the headstones. Not so much a museum as an immersive story telling experience. 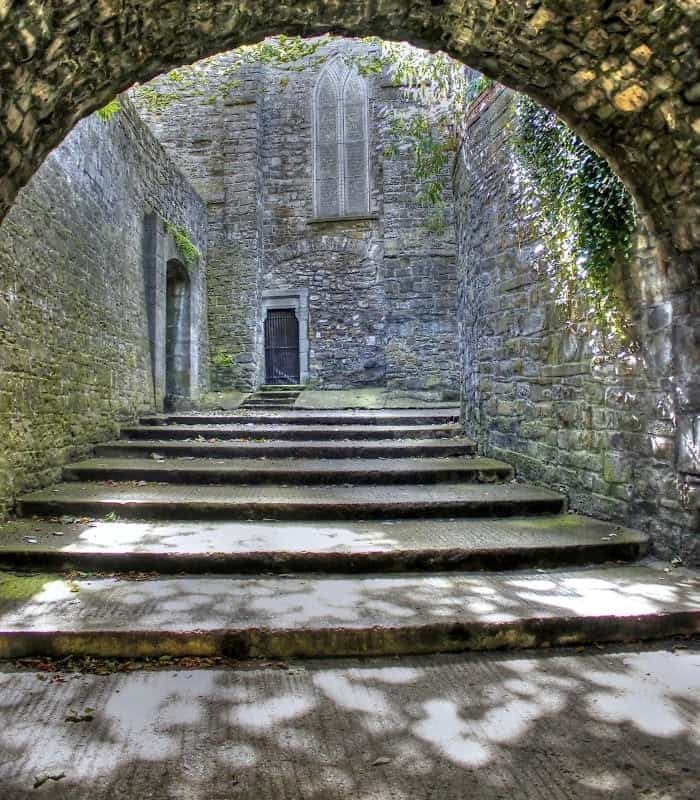 Talented guides will tell you all kinds of tales about Irish folklore and legends. Learn about leprechauns, the Tuatha de Daanan, and of course the Irish fairies. Located in the beautiful Trinity College Dublin is the fantastic concept of the Science Gallery, where art and science collide. Don’t expect a huge venue, or anything similar to something you’ve visited before. This is a world first, where exhibitions change regularly, and you’re encouraged to have your say. Gaelic Football is a different game from anything a North American has ever experienced. The ball is similar to a U.S. football but the game is played very differently The objective of the sport is to score by kicking or punching the ball into the other team’s goals between two upright posts above the goals and over a crossbar 2.5 metres (8.2 ft) above the ground. 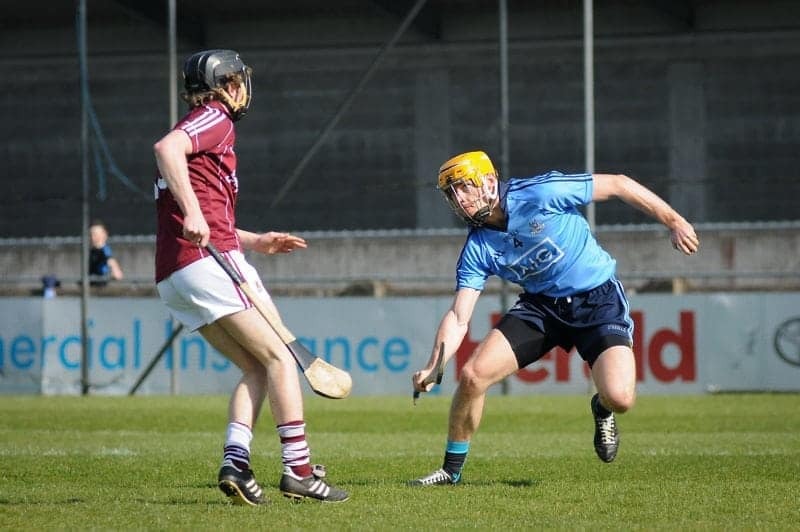 A national obsession Hurling somewhat resembles hockey, with no ice and a much shorter stick. The national game of Ireland it probably dates back to the 2nd millennium. You can read more about Dublin’s Neighbourhoods here. The foundations of St. Michan’s date back to 1095, the church was originally built to serve the Vikings, who were still in Ireland. 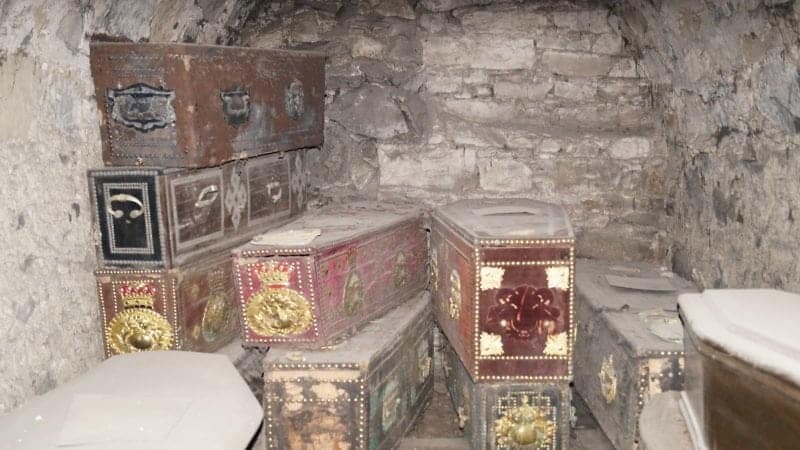 Caskets are strewn and tucked into niches in the walls but with the conditions in the crypt the coffins are disintegrating and in some of them you can see some of the remains. The main four “mummies” are the Unknown Woman, The Crusader, the Thief who is missing parts of both feet and his hand ( which was said to be his punishment) and the Nun. The Crusader is quite tall his legs were broken and folded to be able to fit into the tiny coffin, he was believed to be around 6.5 feet tall which was a giant in those days. His hand stretches out from the casket and you are allowed to touch it gently. Legend has it that a young Bram Stoker visited the crypt, many think this is what inspired his love of the morbid. A unique Museum found in the heart of Dublin but often overlooked. Situated in the heart of Dublin’s fashionable Georgian streets, this four story restored town home is a microcosm of Dublin life during the period from 1790 to 1820. The exhibition ranges from artifacts and works of art of the time, to carpets, curtains, floor coverings, decorations, paintwork, plasterwork, and bell pulls The nursery also includes dolls and toys of the era. Christ Church Cathedral has so much to offer visitors. The crypt is the oldest surviving structure in the capital and one of the largest crypts in Europe. Housed in the crypt is the Treasures of Christ Church exhibition, as well as the beautiful original costumes from ‘The Tudors’ television series, much of which was filmed in the Cathedral. The Hugh Lane Gallery is located on Parnell Square. It is free and houses a reconstruction of Francis Bacon’s work studio. Visit before noon on a Sunday and get treated to a free piano recital in the beautiful Sculpture Gallery. If by this stage you’re ready for a pint, try something other than the Black Stuff that the country has become famous for. Ireland’s currently enjoying a surge in microbreweries and pubs are popping up to embrace this trend. The Brew Dock is currently serving one of the best selections in the city, and the food will keep your hunger pains at bay. Want to know more about where to find Dublin’s best pubs and clubs? Read it here. Tivoli Theatre car park is an explosion of graffiti art. 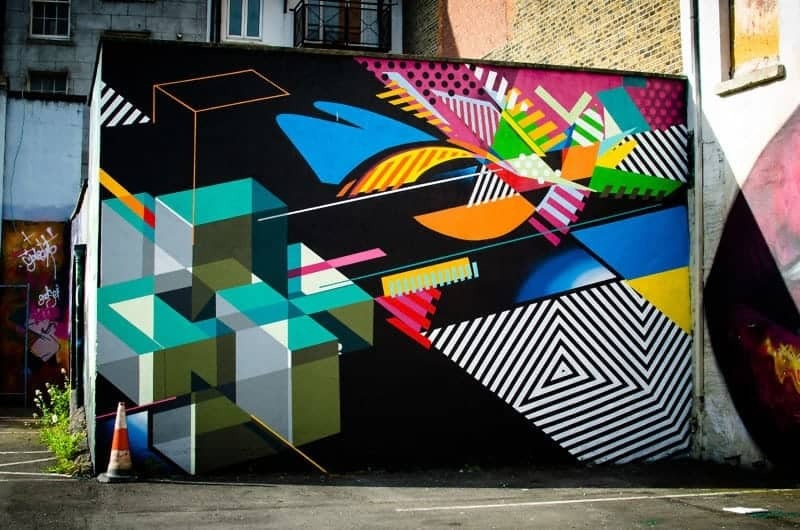 Dozens of works of art turn this vacant lot into an outdoor gallery of street art, including several pieces by Steve Powers, the New York-based artist better known as ESPO. Few people know that the famous Camino de Santiago (Way of St. James) that stretches across Europe and leads to the Cathedral of Santiago de Compostela in Galicia, north-west Spain, actually begins in Dublin. 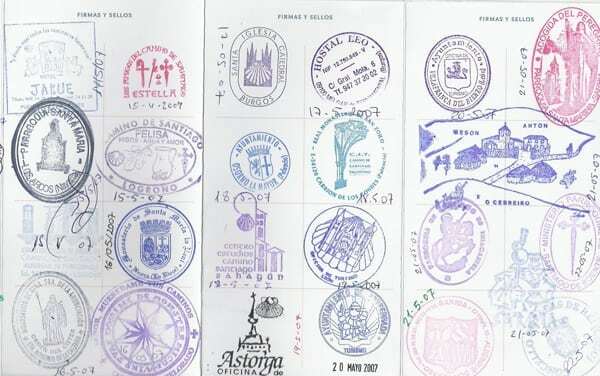 The Camino Society at St. James Church was set up by pilgrims who have made the journey and they issue the Pilgrim Passport where you obtain your first Camino stamps. In the main porch of the twelfth-century St. Audoen’s Church, you’ll find what’s mysteriously known as the ‘Lucky Stone’. A slab of granite bearing a Greek cross, it’s thought to be the tombstone of an early Irish saint, and dates back to the 8th or 9th century. Indeed, pilgrims setting off on the Camino de Santiago often touch the stone to ensure they have a safe journey. The Freemasons’ Grand Lodge of Ireland located in Dublin is the second most senior Grand Lodge in the world and the oldest in continuous existence. 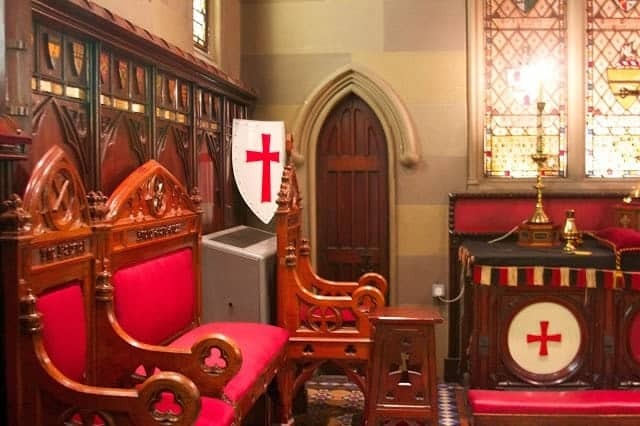 Built in 1865, one of its many highlights is the Knights Templar Preceptory; a fascinating ‘room within a room’ that’s flanked by ornate carved chairs and an array of majestic coats of arms. The Freemasons host tours of the building, and reveal all kinds of interesting information about the history of this mysterious brotherhood. In the suburb of Churchtown you will find a renowned pub called The Dropping Well. This is another of Dublin’s historic pubs and it owes its origins to the Great Famine, where it was first licensed as a community Morgue. What is brilliant about the Dropping Well is its view of the Dodder River (which runs into Dublin City) and its most interesting “tenant”. 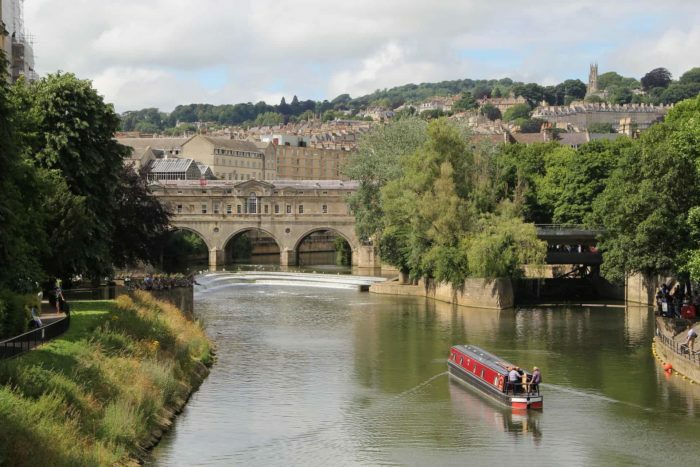 You wouldn’t think you would find a sculpture of a rhino in the middle of a river would you? But the River Dodder is home to a bronze one that was apparently installed in 2002. No one appears to know why or how and even the staff at the pub have a variety of tales to tell about the origins of the rhino. Crossing the O’Connell Bridge you will see a commemorative plaque to Father Pat Noise. Installed in 2004 it went completely unnoticed by the local council until 2006. 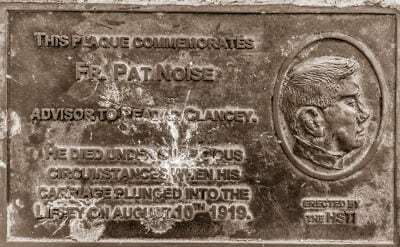 The plaque is actually a funny tribute to the father of two jokesters and the name Father Pat Noise is an anagram of “Our Father”. The council was going to remove the plaque but decided to leave it in place after locals and tourists alike began leaving flowers to remember the Father whose “carriage plunged into the Liffey causing his drowning”. And there you have it 21 very different do’s in Dublin. 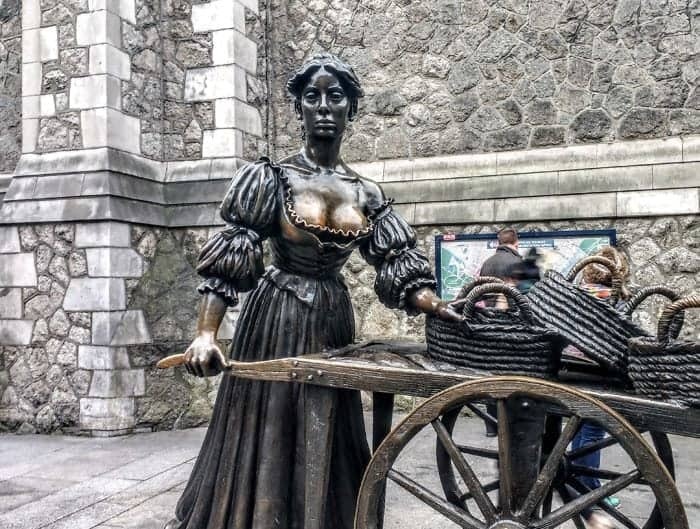 There is just so much to do in Dublin but don’t forget there is an Island full of history, relics and ruins, castles and incredible scenery that lies just outside Dublin here are a few ideas for you to check out if you want to get out of Dublin for a day. Visit the site of Newgrange where you can see how the solstice celebrations began. 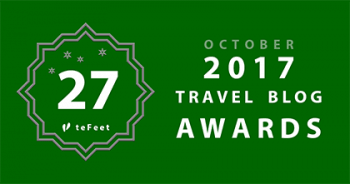 Try to get out to see more of the country a great place to spend some time in Tipperary it’s full of history including the heritage site of the Rock of Cashel and Hore Abbey. Hitting the Wild Atlantic Way is a area you don’t want to miss as well from the Cliffs of Moher up to Donegal the wild west of Ireland will haunt your dreams forever. Go and visit the Wicklow Mountains and Glendalough and have a scout round for some of the sites used in the filming of the History Channels show Vikings.